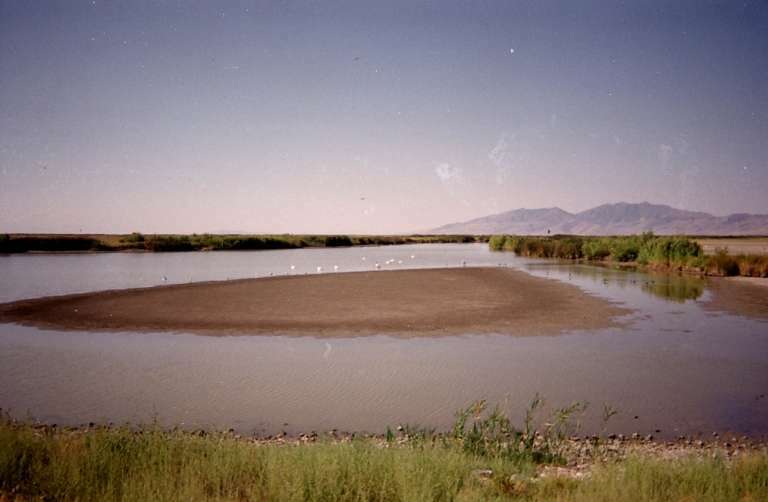 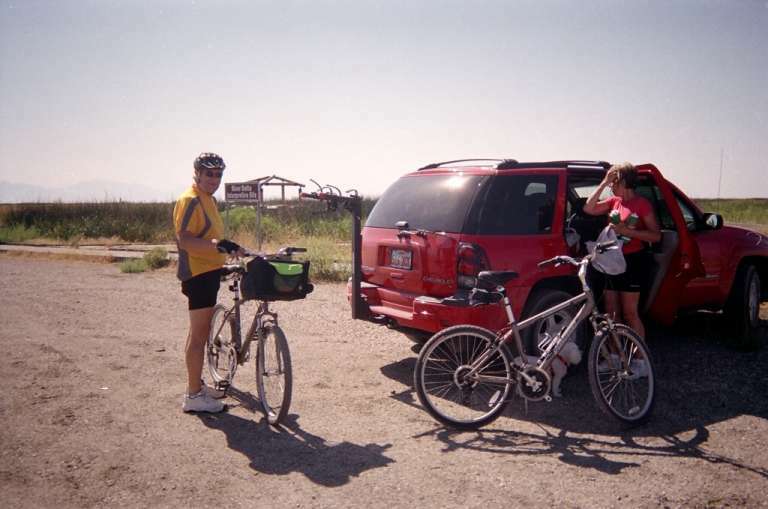 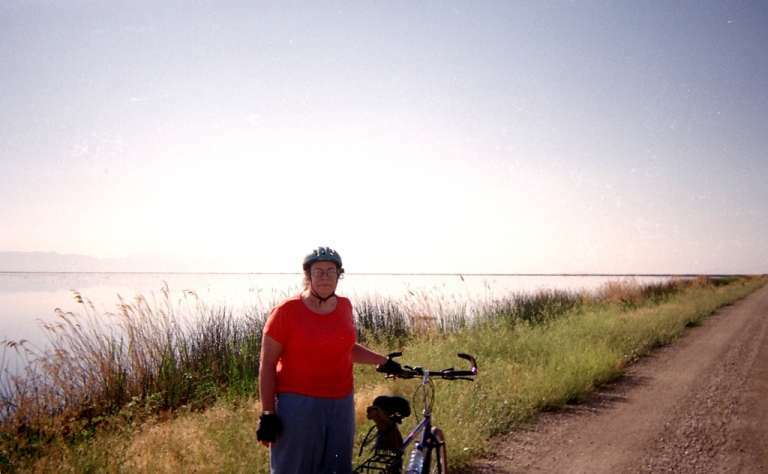 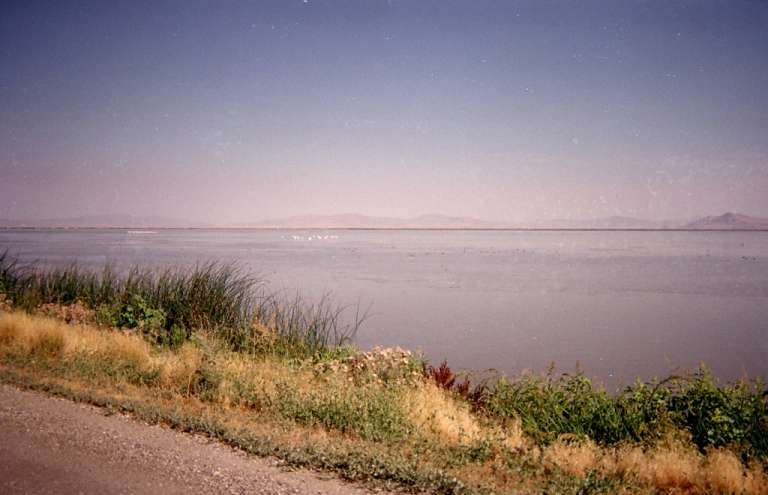 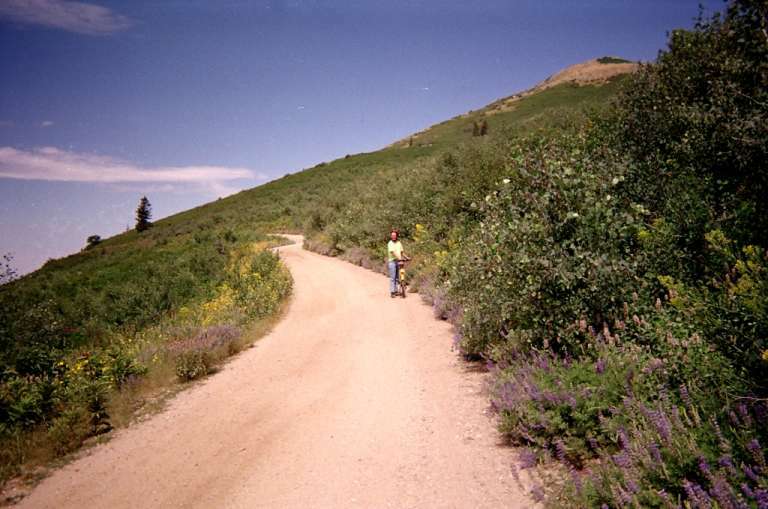 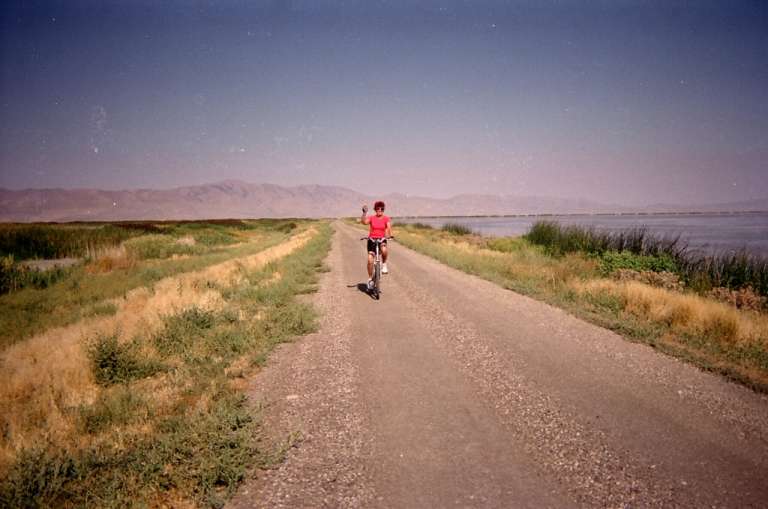 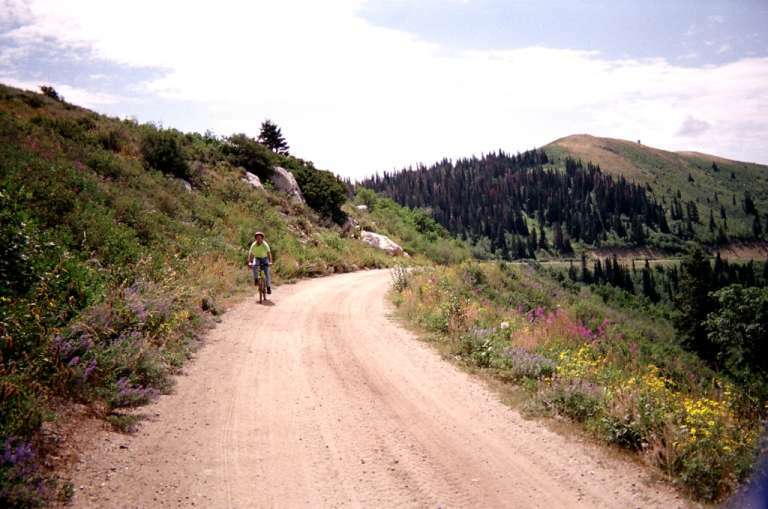 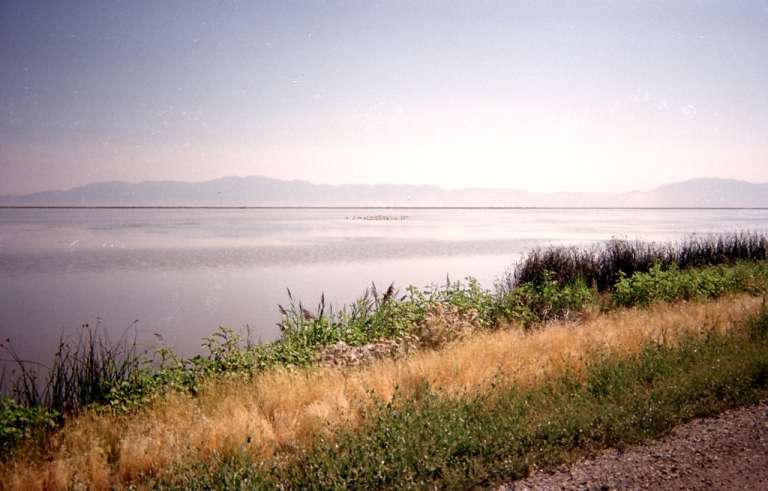 With Barbara Pence and her husband, I cycled the gravel roads in the Bear River Bird Refuge, near Brigham City, Utah. 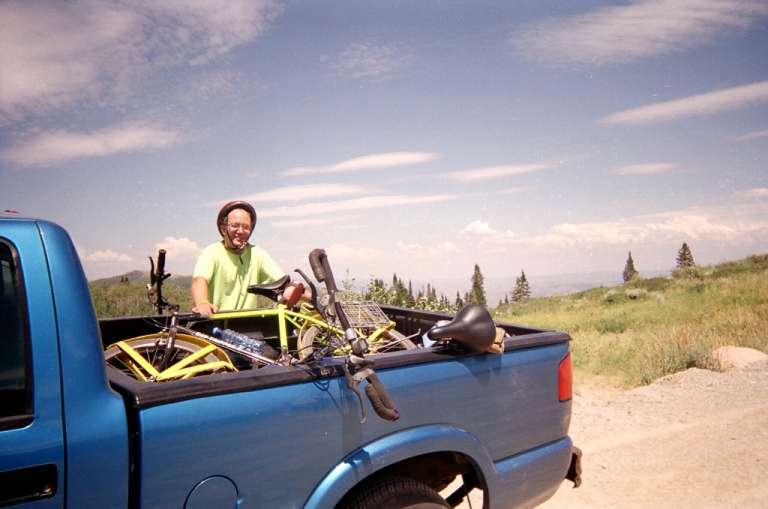 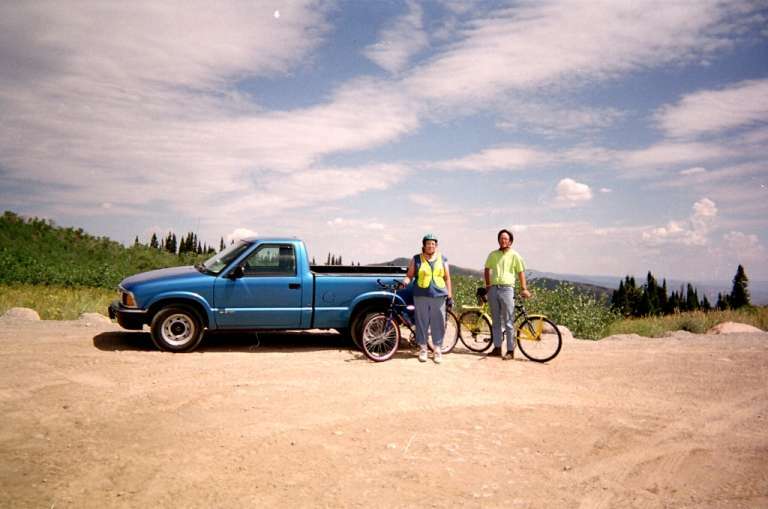 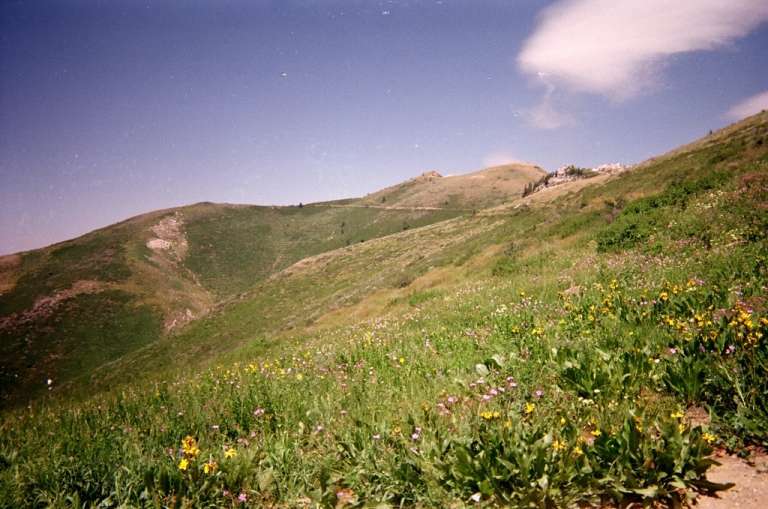 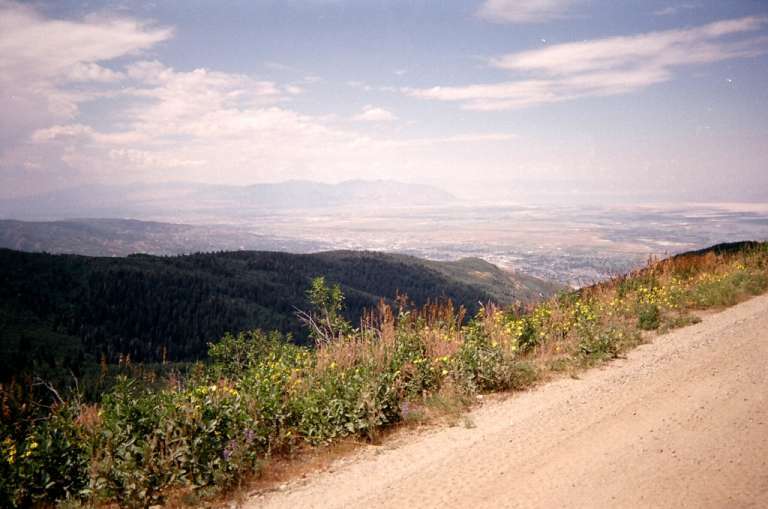 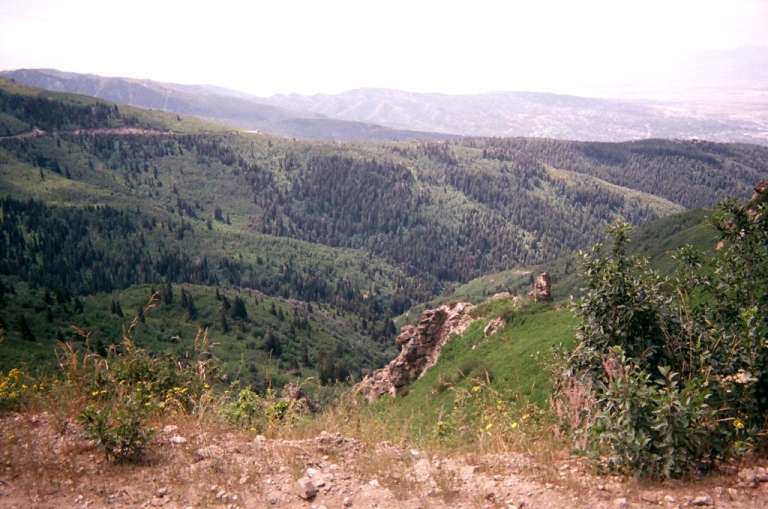 My son, Laron, and I, cycled part of the road to Bountiful Peak, east of Bountiful, Utah. 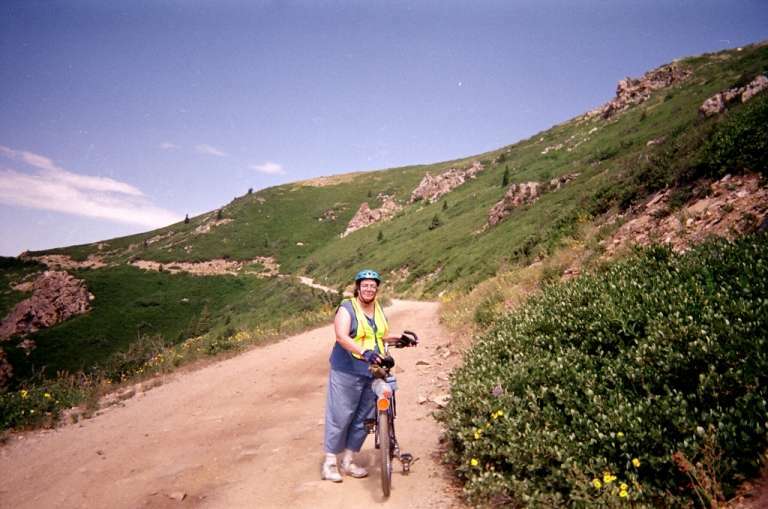 We drove up to where the road meets the ridge-line, then cycled northward from there to Bountiful Peak, then cycled back to our vehicle. 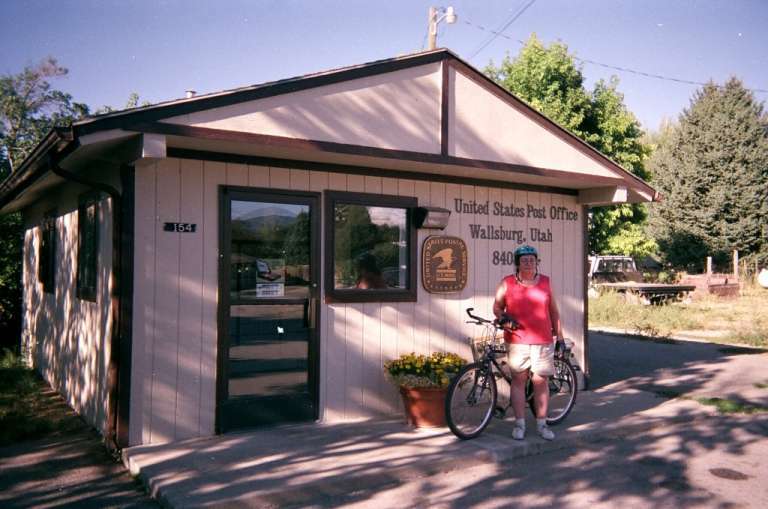 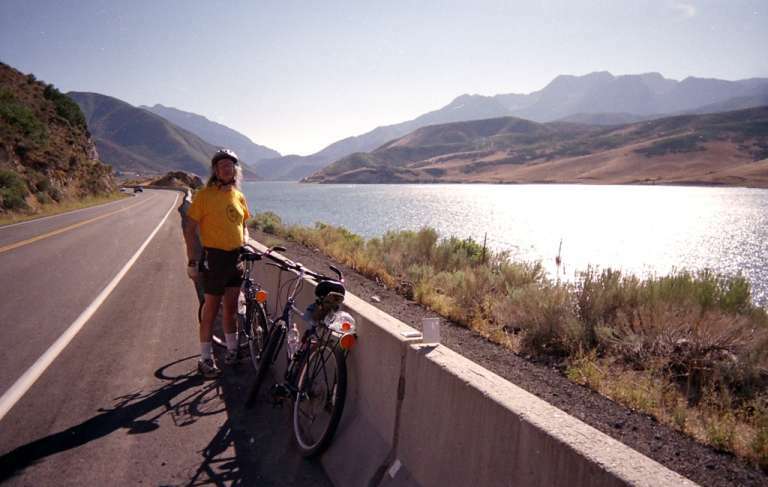 We cycled from Heber City, Utah, to Wallsburg, and back, cycling along Deer Creek Reservoir for much of the way. 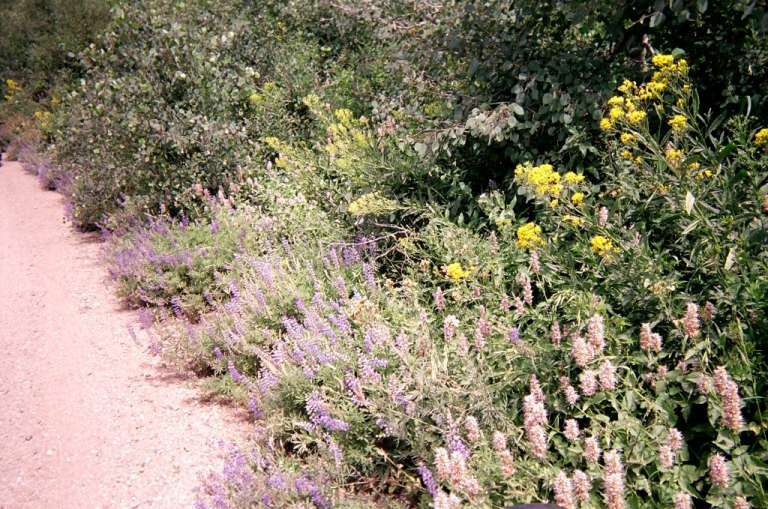 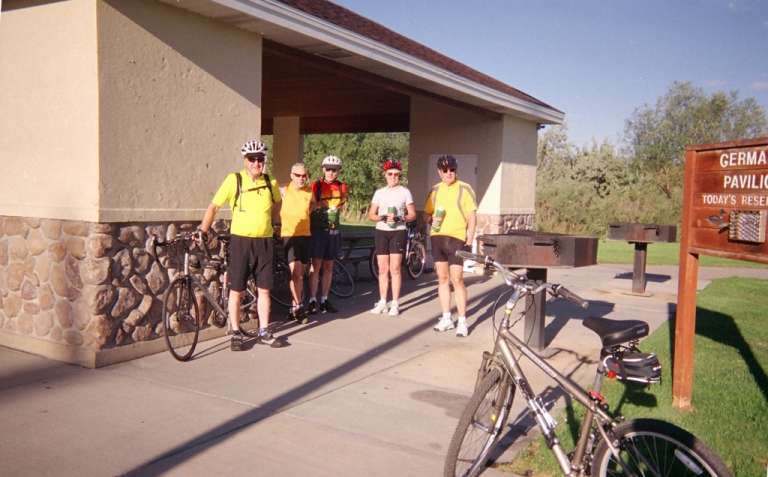 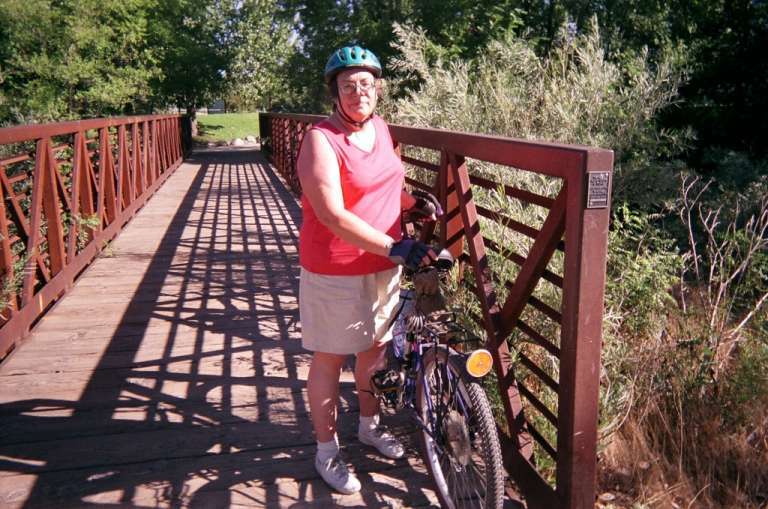 With the 1st Unitarian Church bicycle group, I cycled much of the Jordan River Trail. 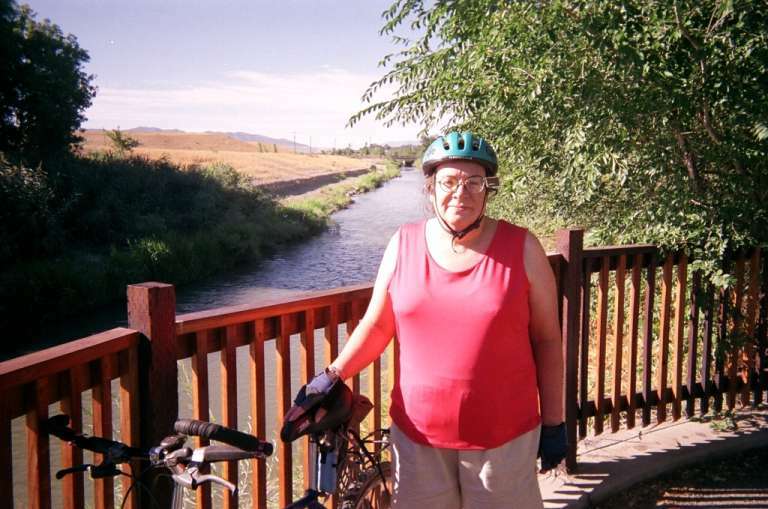 We entered the trail a bit north of 21st south, and went almost to 78th south, then cycled back. 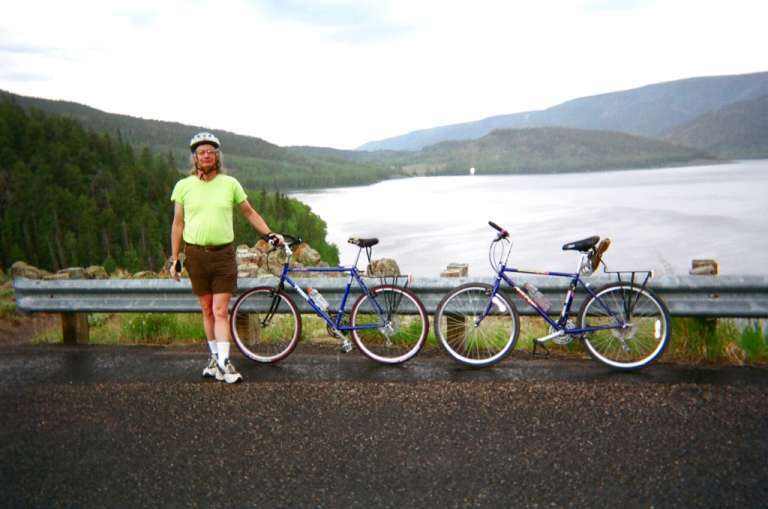 We cycled from the first viewpoint parking area of Fishlake (near Loa, Utah), along the road to the Johnson River viewpoint, then cycled back to our vehicle along the same road. 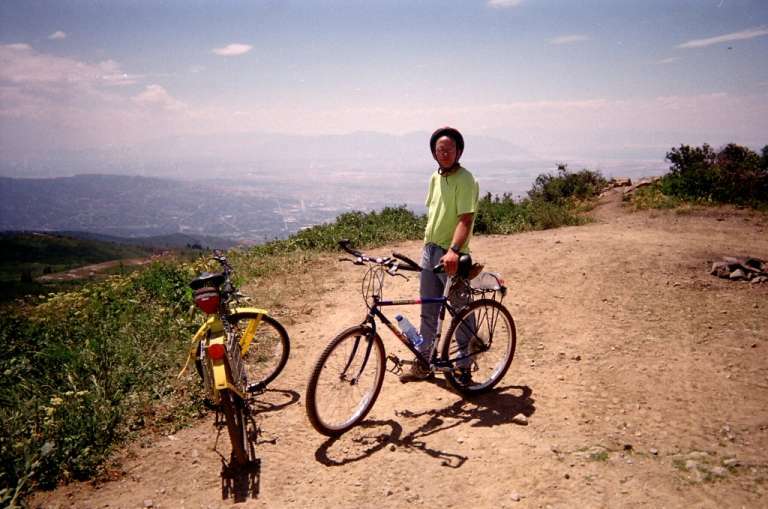 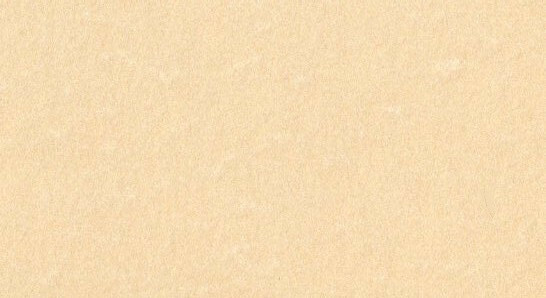 This was my first bicycle trip, which I very much enjoyed. 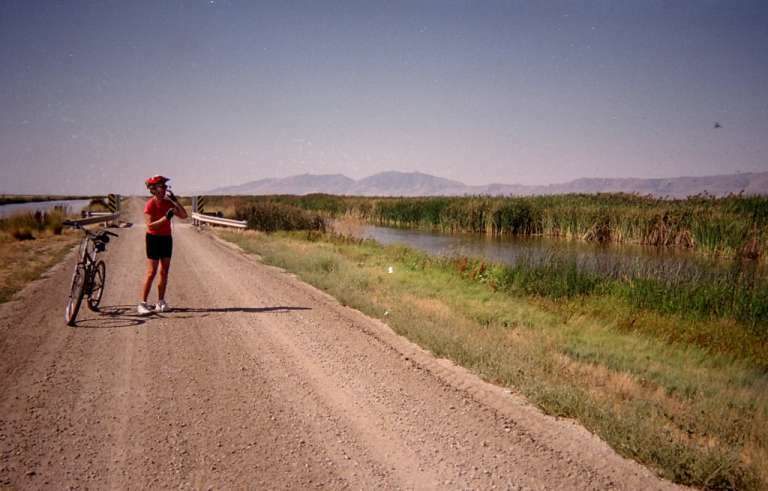 It is what hooked me on doing cross-country bicycle trips. 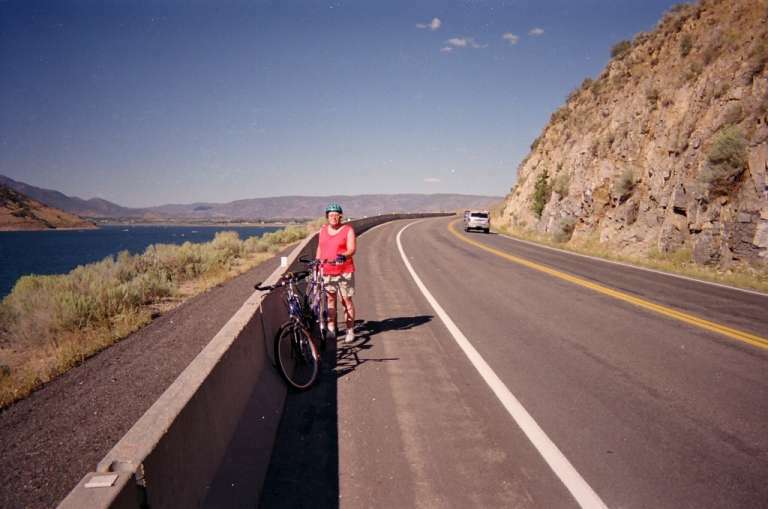 It was very scenic, 18-mile round-trip, with not much climbing (to my surprise). 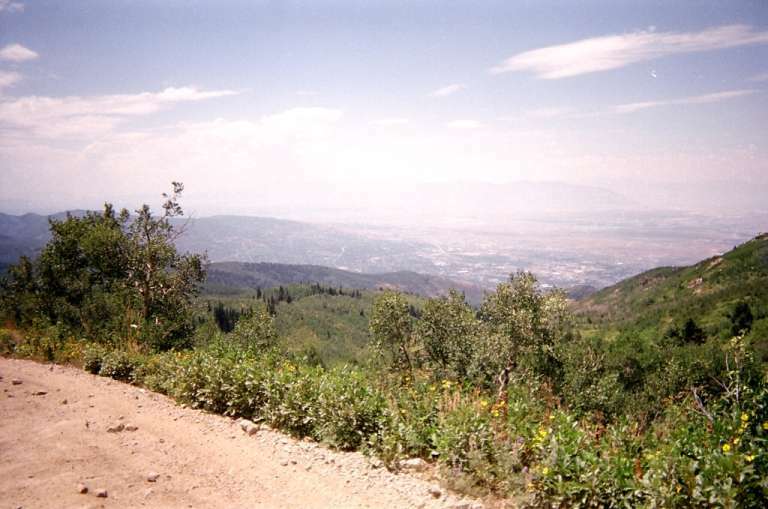 Unfortunately, though this scenic trip was deserving of many pictures, we forgot to bring the camera, so all we could do is drive to the trip destination, and take a picture of each of us. 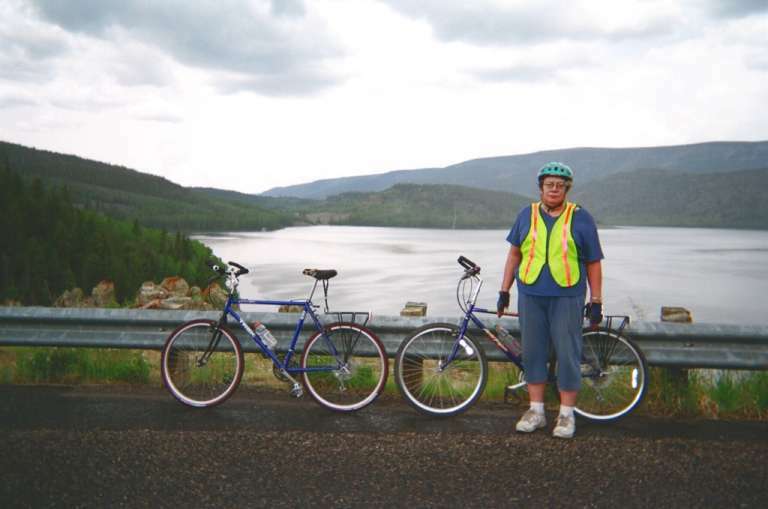 It was a rainy day when we took those pictures, unlike the nice day we cycled.